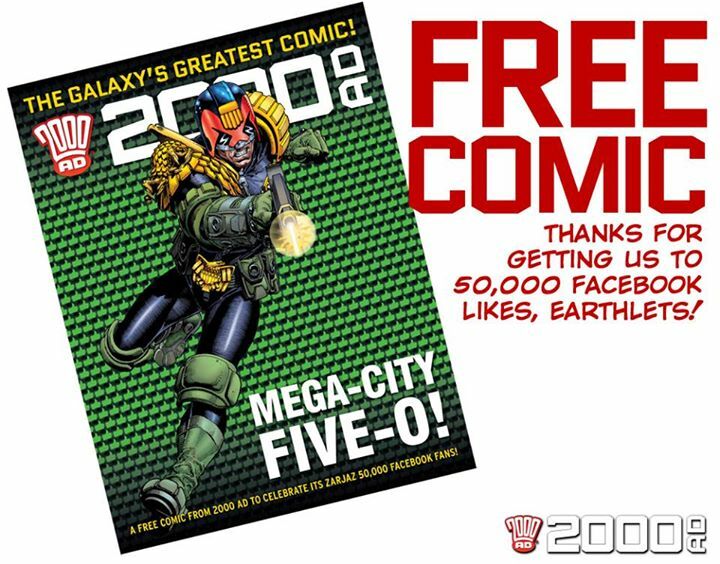 In celebration of receiving 50,000 likes on Facebook,* 2000 AD has released a free sampler for readers. It's 130 pages and features Dredd stories exclusively, as far as I can tell (I did not read it in its entirety yet), from the 70s, 80s, 00s, and 2015, giving readers a chance to look in on the iconic character over the years. It's another nice thing for the company to do--they're amazingly cool to their fans--and if you have any interest in the character, be sure to grab this before it's taken down again. I don't know how long that will be, so if you want this, click here.